TOMLIN 8ft Ballast Roller 8ft Ballast roller, 4ft diameter with end tow kit; when full of water with weigh about 5 tons. 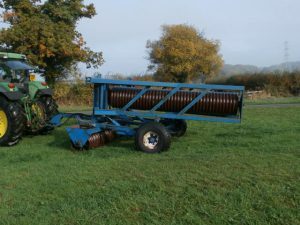 TWOSE 10.4m Hydraulic Folding Ring Rolls 10.4m hydraulic folding ring rolls with breaker rings. 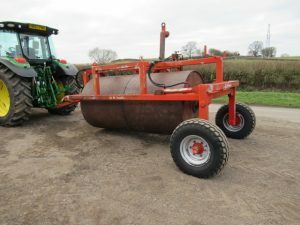 BEXTON 9m Hydraulic Folding Ring Rolls 9m Hydraulic folding ring rolls with 24" breakers rings. TWOSE 12.4m 24 Ring Folding Ring Rolls 12.4m, 7.8 ton, 24 ring folding ring rolls.